Families for Orphans: 40 orphan children find "new life" at summer church camp in Russia! 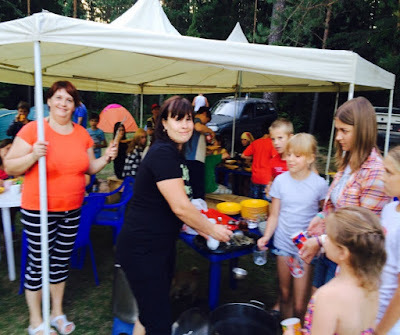 40 orphan children find "new life" at summer church camp in Russia! DONATE NOW TO HELP BUY THE TENTS NEEDED FOR NEXT YEAR'S CAMP! YOUR DONATION OF JUST $5 WILL BE A BIG BLESSING! JUST CLICK ON "GIVE US FIVE!" 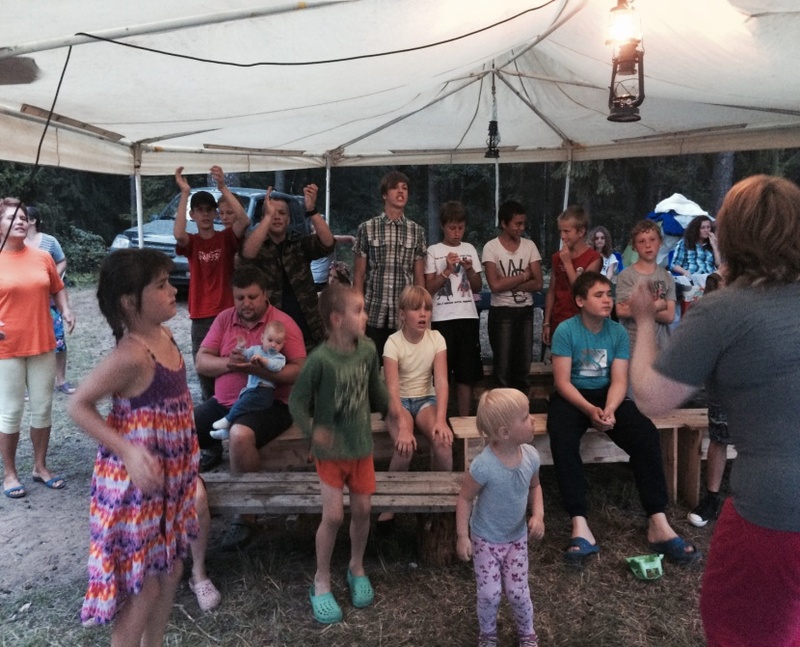 We had a wonderful tent camp in Tolmachevo village this summer! We were 50, 40 children and 10 leaders. It was an honor for us to minister to orphans and children from families in need. The program was called “Freedom. Holiness. Ministry!” We spent a lot of time in prayer and worship. Children had a lot of fun during sport competitions and boat trips. The food was wonderful. Once children caught many fish, and we made a soup of it. In the evening girls went to the forest and found a lot of mushrooms – we had a delicious supper that day! The most favorite for dessert was pancakes that we cooked on the open fire! 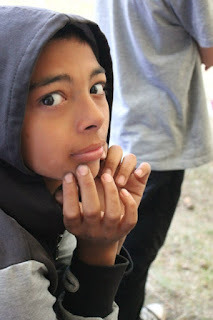 Many of the orphans that we were able to ministry have very difficult life stories. Alina’s mother was killed, and she saw it. She is still very aggressive. She asked Jesus into her heart, met new friends at the camp and wants to attend the church! 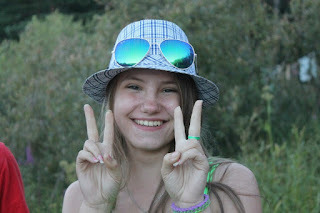 Viktoria’s parents passed away because of drugs addiction. In the beginning she was very closed, but after the prayer, she was so much changed! Kostya is a gypsy boy. His mother is in prison for selling drugs, and he has no father. But he has got two younger sisters, 5 and 7 years old. He is a kind boy, very helpful. We hope to make tent camp next year again. This time we borrowed tents and kitchen equipment from another church, but we hope to buy everything needed for the tent camp next year. May God bless everyone for all you do for these children!